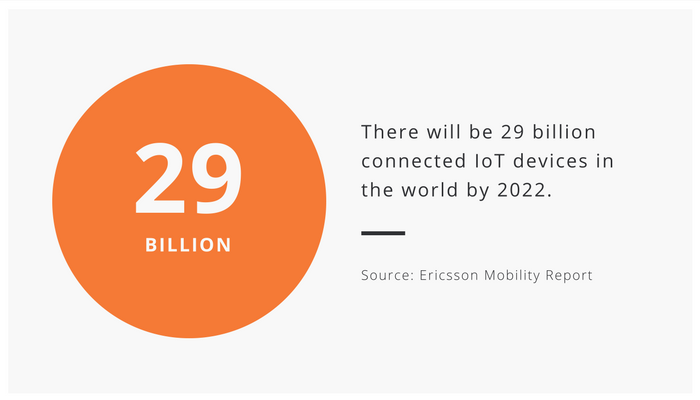 This ‘stat of the week’ is about IoT — Internet of Things. This ‘stat of the week’ is about smart cities. 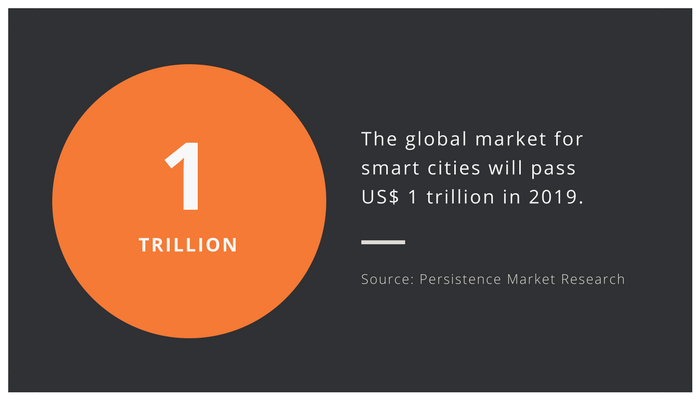 According to Persistence Market Research, the global market for smart cities will pass US$ 1 trillion in 2019 and reach US$ 3.5 trillion in 2026. This ‘stat of the week’ is about marketing budgets. 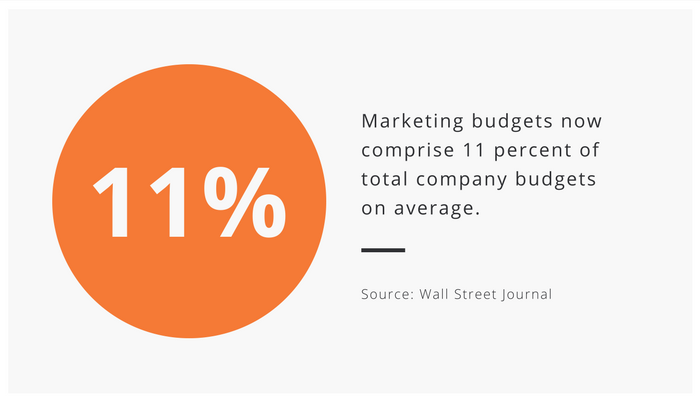 According to the Wall Street Journal, marketing budgets differ significantly among industries but now comprise 11 percent of total company budgets on average. 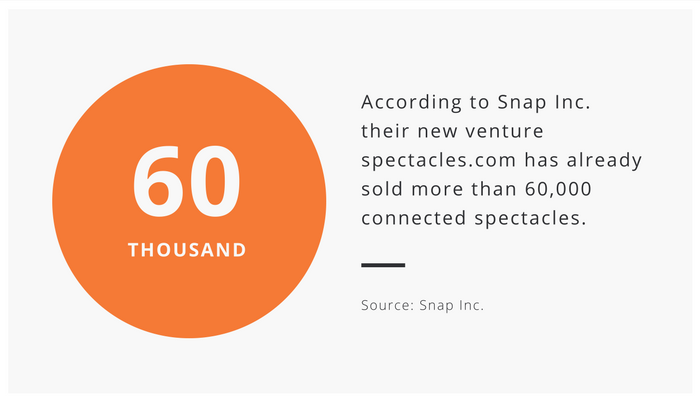 This ‘stat of the week’ is about connected spectacles. 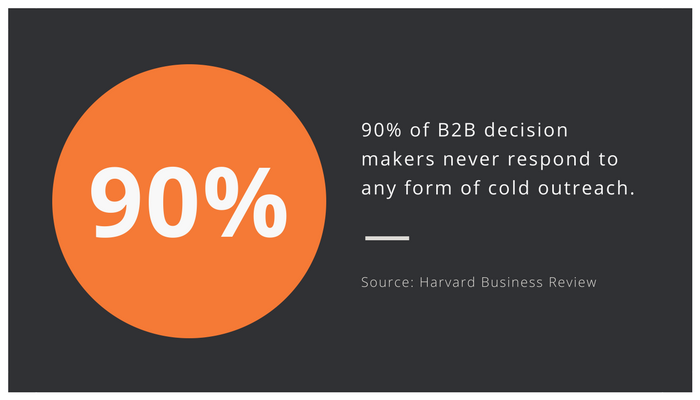 This ‘stat of the week’ is about the B2B buyer journey. This ‘stat of the week’ is about Facebook users. 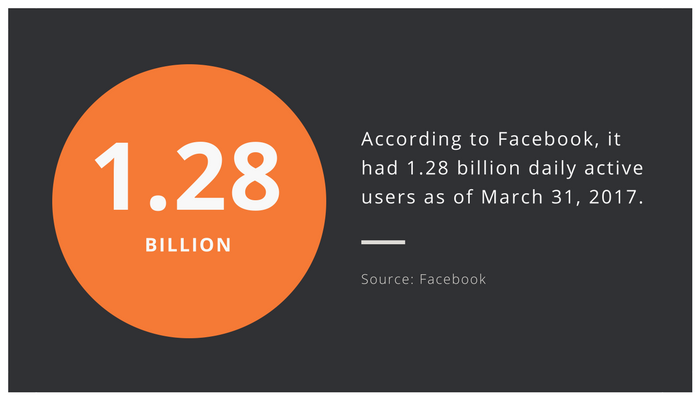 According to Facebook, it had 1.94 billion monthly active users and 1.28 billion daily active users as of March 31, 2017. This ‘stat of the week’ is about eCommerce in China. 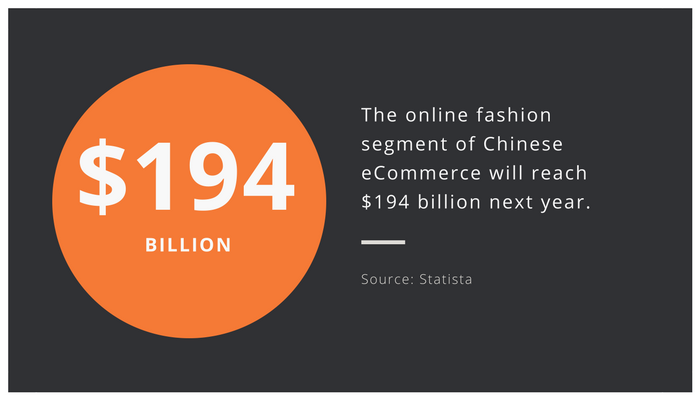 According to Statista, the online fashion segment of Chinese eCommerce will reach $194 billion next year - eclipsing that of the USA and Europe combined. This ‘stat of the week’ is about mobile web traffic. According to Hootsuite/we are social, 51.4 % of global website traffic was through mobile devices in April 2017. Is your online presence optimised for mobile? This ‘stat of the week’ is about social media usage. According to PewResearchCenter, Sweden has the highest penetration of social media users in the world, with 71% of Swedish adults using social media sites. In contrast, only 37% of German adults say they use social media. This ‘stat of the week’ is about smartphones and purchasing. 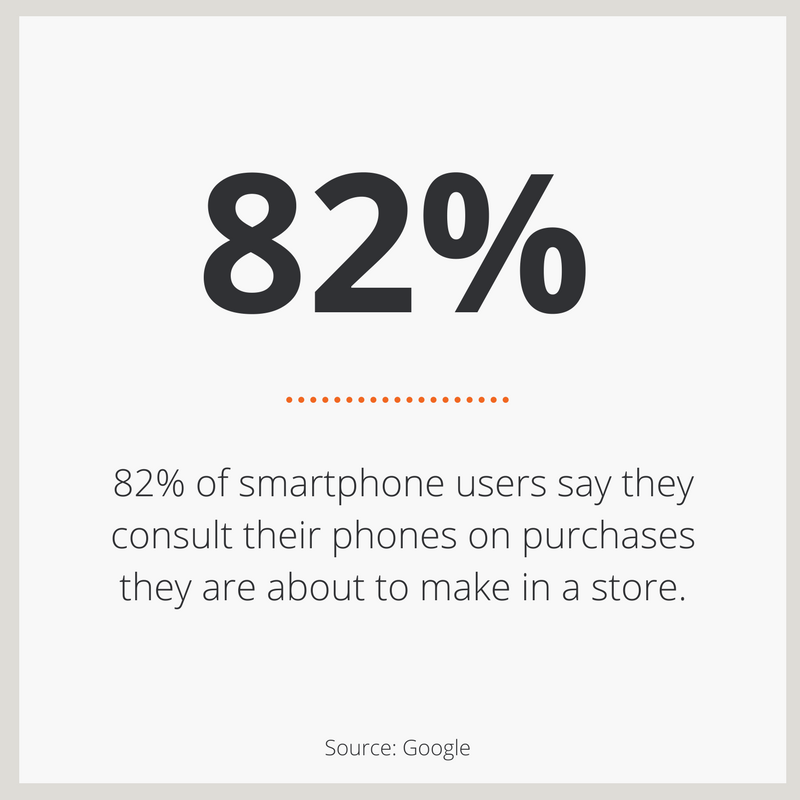 According to Google, 82% of smartphone users say they consult their phones on purchases they are about to make in a store. This ‘stat of the week’ is about LinkedIn and women. 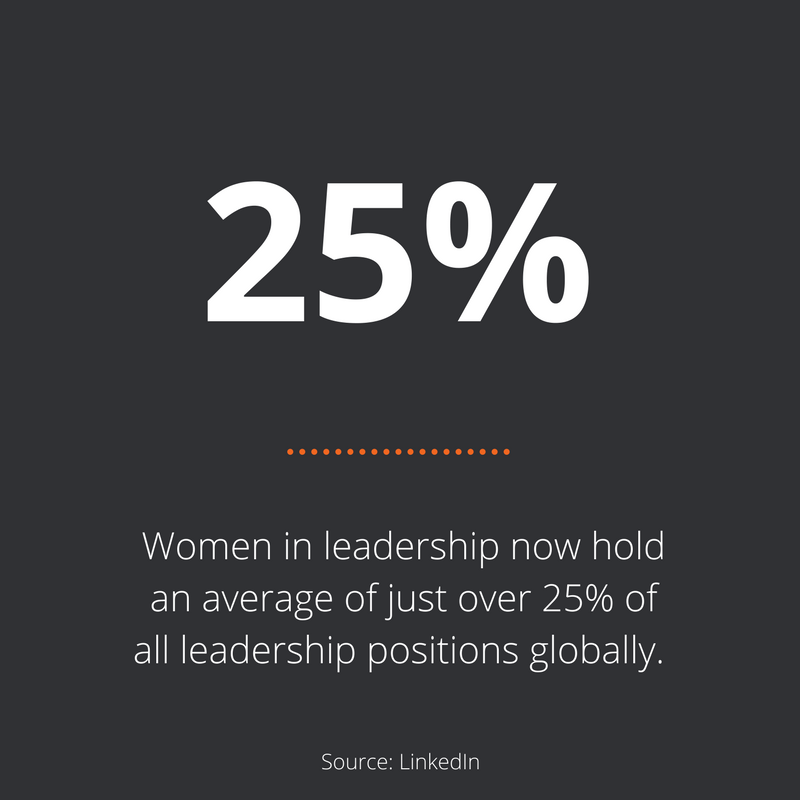 According to LinkedIn, women in leadership now hold an average of just over 25% of all leadership positions globally. How is gender equality progressing in your industry? This ‘stat of the week’ is about online banking. 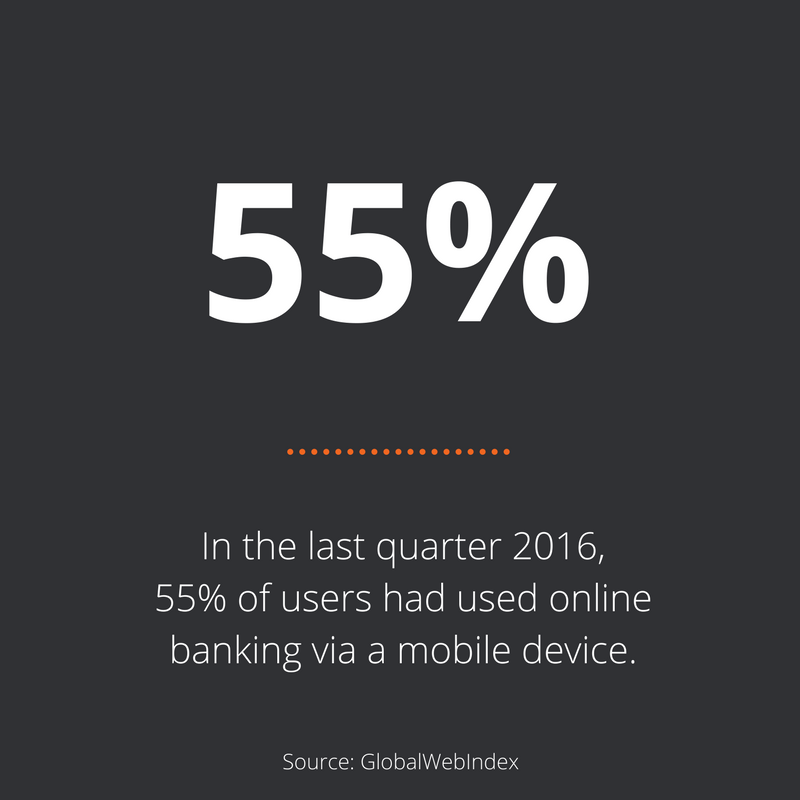 According to GlobalWebIndex, mobile is reshaping the future of banking—in the last quarter 2016, 55% of users had used online banking via a mobile device compared to only 53% via a PC/Laptop. 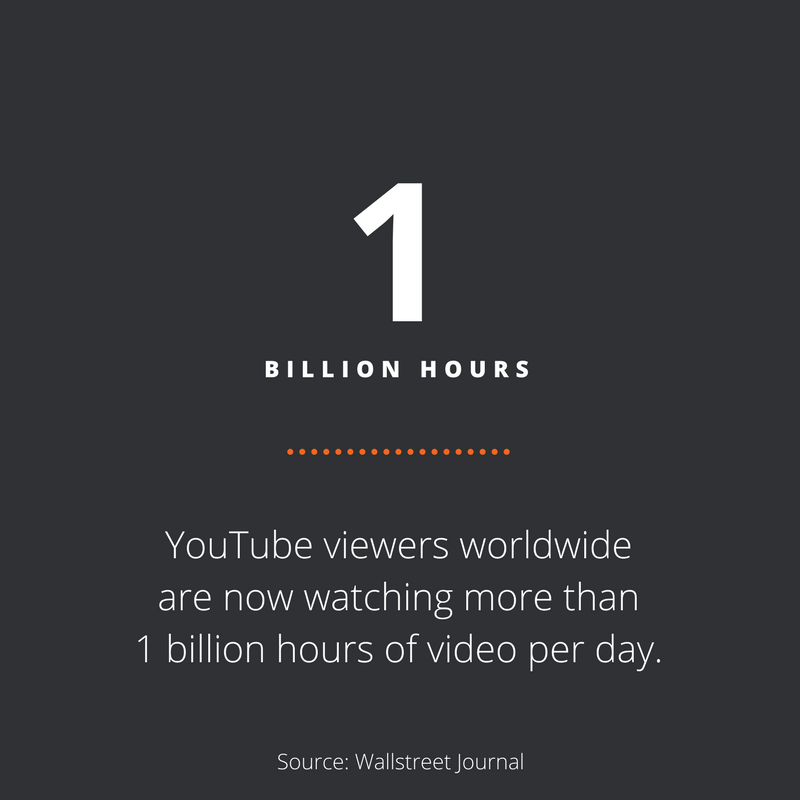 How is mobile reshaping your industry? This ‘stat of the week’ is about Instagram users. 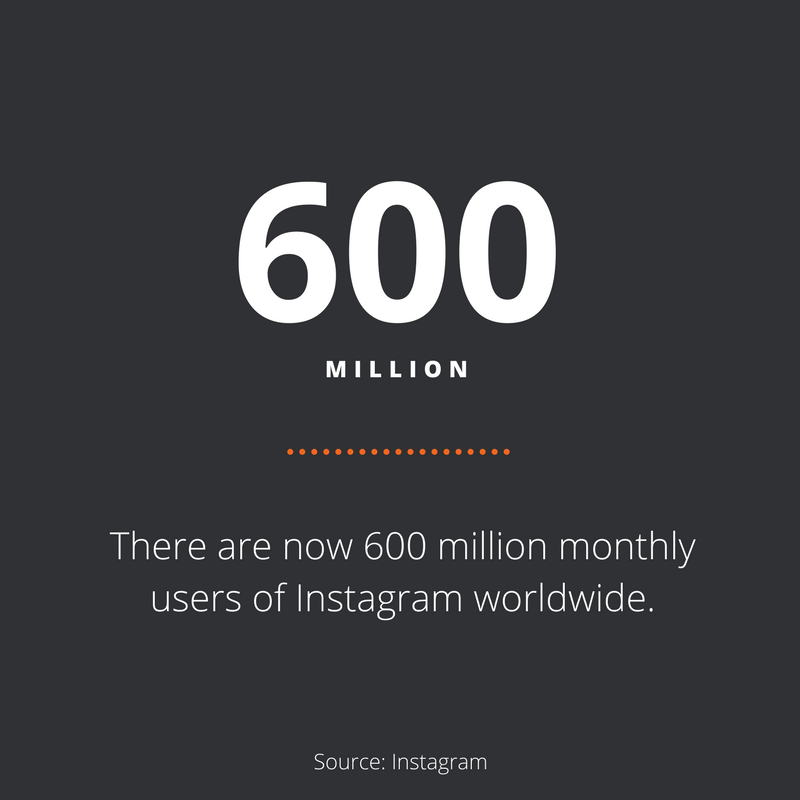 According to Instagram, there are now 600 million monthly users and 400 million daily users of Instagram worldwide. Are any of them your next customer? This ‘stat of the week’ is about mobile users. 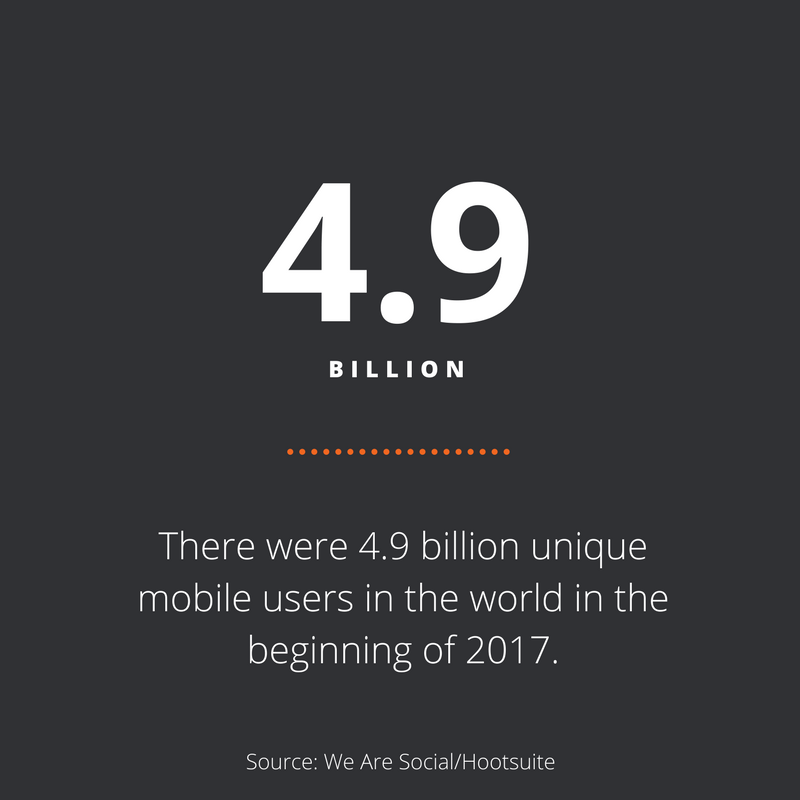 According to We Are Social / Hootsuite, there were 4.9 billion unique mobile users in the world in the beginning of 2017 - equal to 66% of the global population.